Bonjour lecteurs! Always on the lookout for durable toys that will give them hours of fun? Now that we are set to get some snow, it is time to find some ways to keep them busy indoors. If you have been reading our blog for a little while, you would know that Baba turned 3 this week. 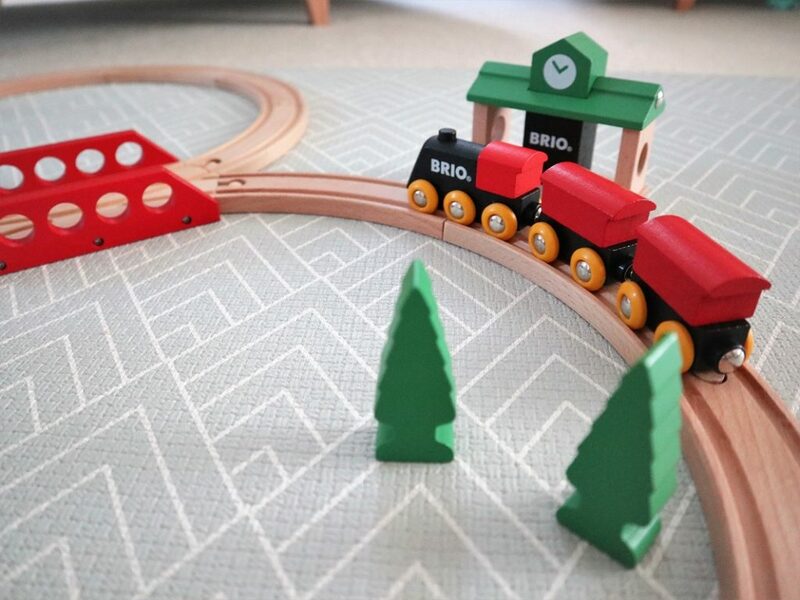 He got super spoiled and on top of everything, BRIO kindly sent us one of its train sets to test. Are you too a brand’s fan? 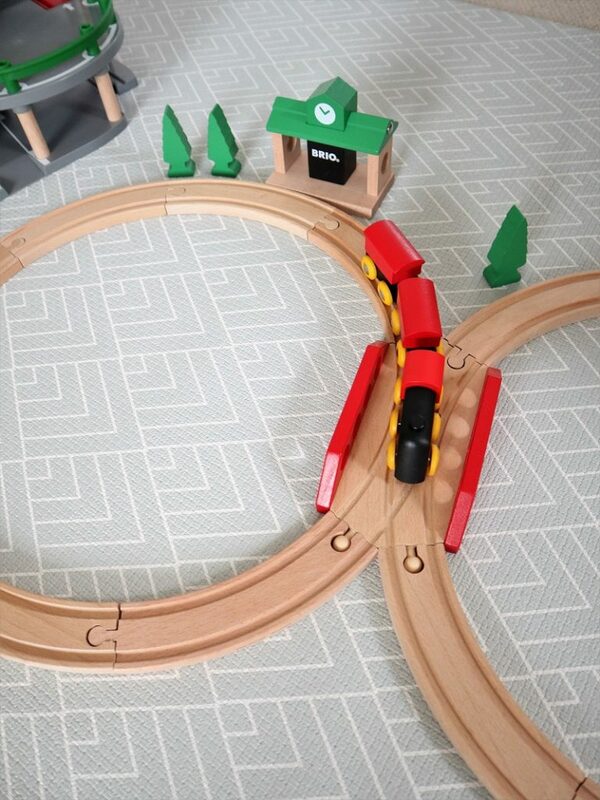 Here is for you our full BRIO Classic Figure 8 Train Set Review. Trains are always a hit with Baba! So I was quite excited to receive this one. Made of 8 figures in total with 3 trees and a station, this lot is aimed at 2 year + children. 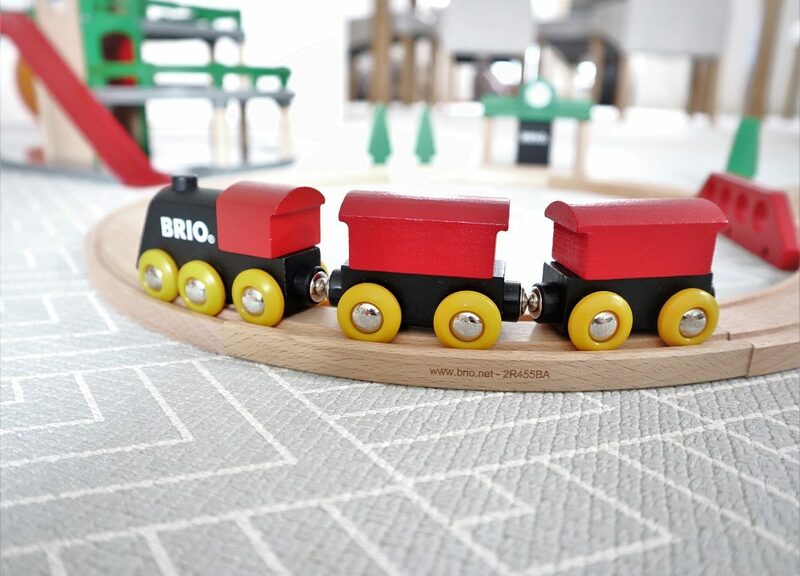 This is a nice classic set to get them started with the BRIO collection. The crossing bridge is a nice twist to a normal track. And as always, all the finishes are lovely with bright colours. 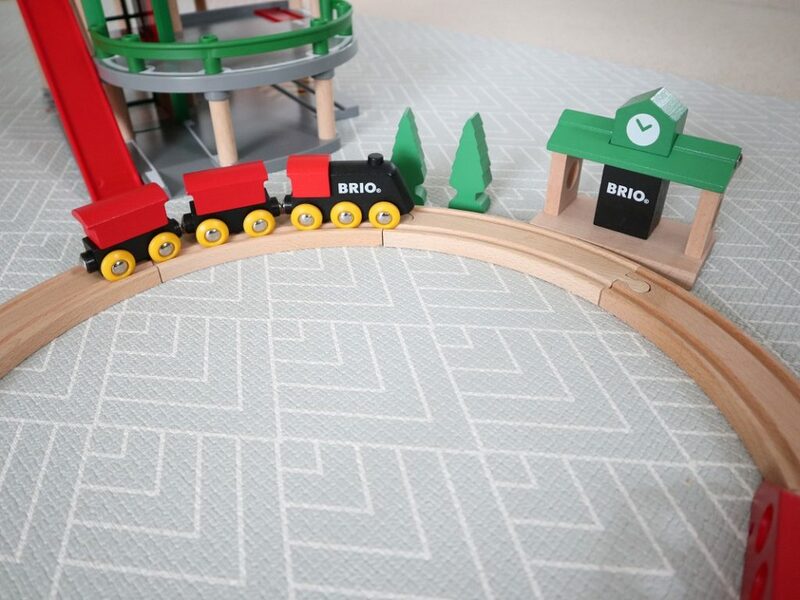 You have 14 pieces of tracks to build the whole thing, but you can add it up to other BRIO sets bien sûr! The whole set is super simple to assemble and as soon as Baba came back from the nursery, he was fast to do it all up. I was a bit worried that it would be too easy for him (he is 3) and that, therefore he would be quickly bored of it. But non! He was eager to play with it and really enjoyed the crossing bridge section! We left it on the mat before going to bed and he played again with it first thing in the morning. 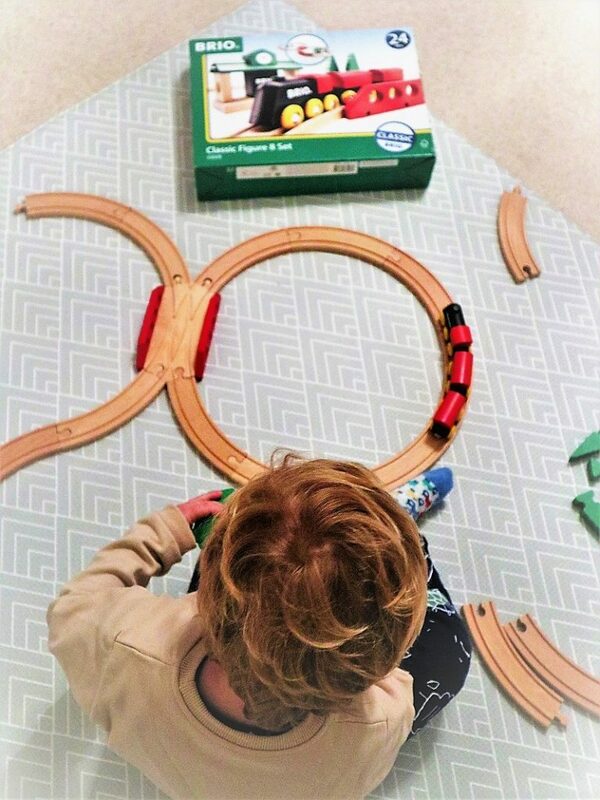 It was quite a game for him to put apart the wagons 🙂 If you are familiar with BRIO toys, you would know that each piece is magnetised so that they can connect them to each other. Once more, this BRIO Classic Figure 8 Train Set is a success and Baba is very pleased with it. What I really like about it too is that you can use it with other sets you might already have and it is simple to work out how to build it. As always, the brand helps our little ones’ imagination and provides them with hours of play time on their own! And because you do not need any battery, it is ready to go! Baba absolutely loves connecting the pieces together to make a chain as long as possible! En plus, what is fun with this set is that it forms two rounds. My little one really enjoys seating in the middle of the tracks for some extra play and it makes a sweet photo! 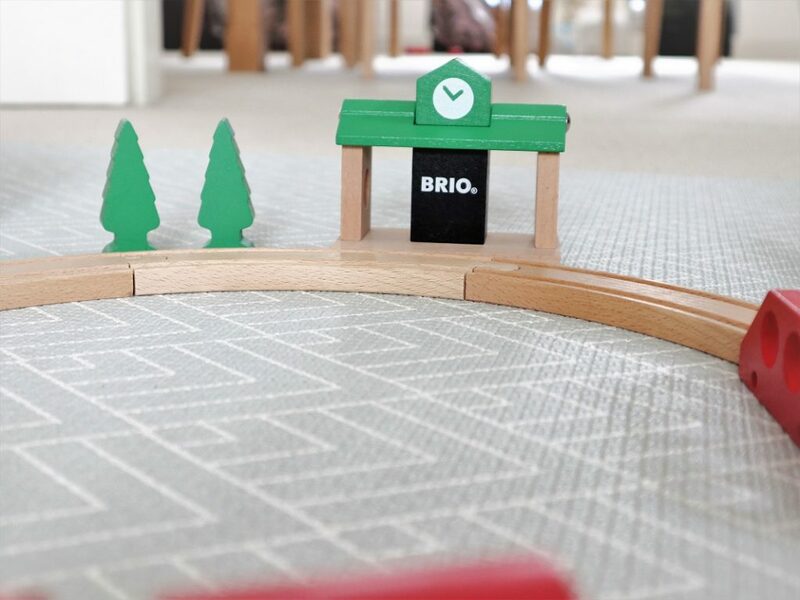 Bravo BRIO for building toys that children never get bored of! We can not wait to see what will be next! 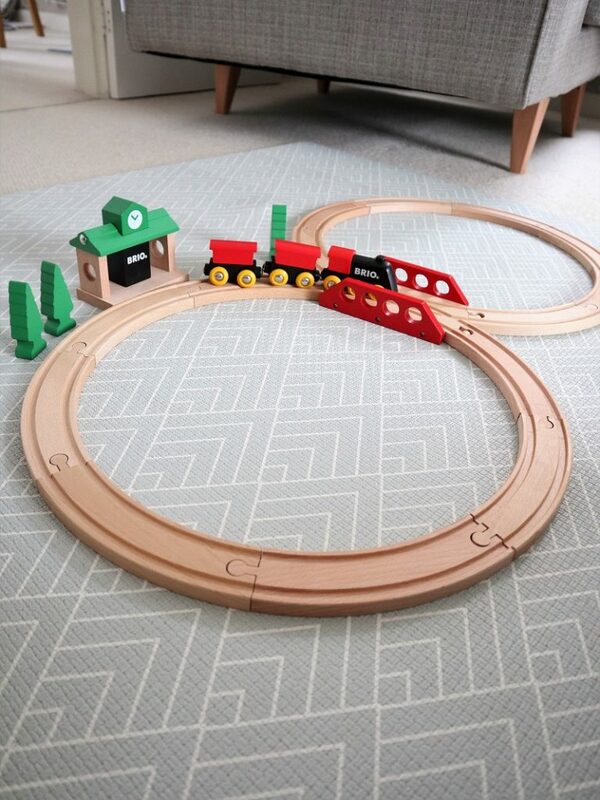 Disclosure: We received this BRIO Classic Figure 8 Train Set for free in exchange for a review. All opinions are our own. 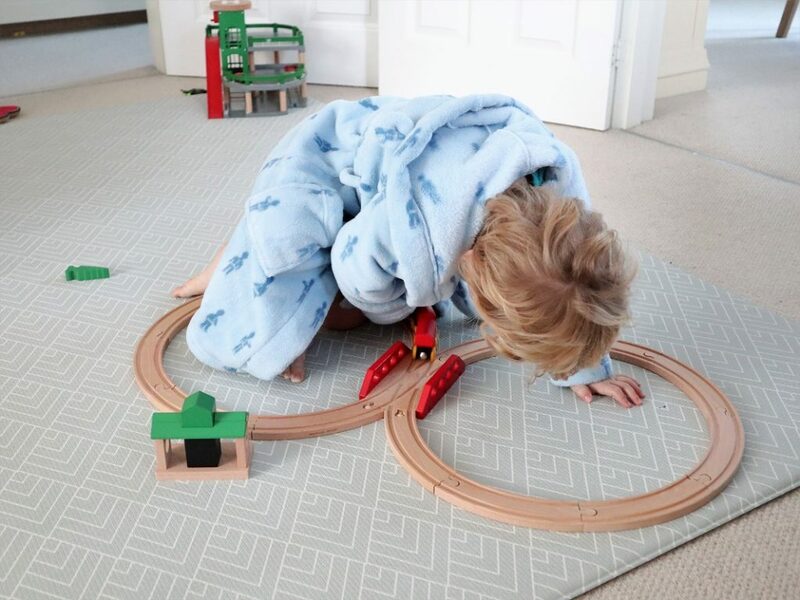 I remember enjoying all sorts of train sets and racing games when I was a kid! 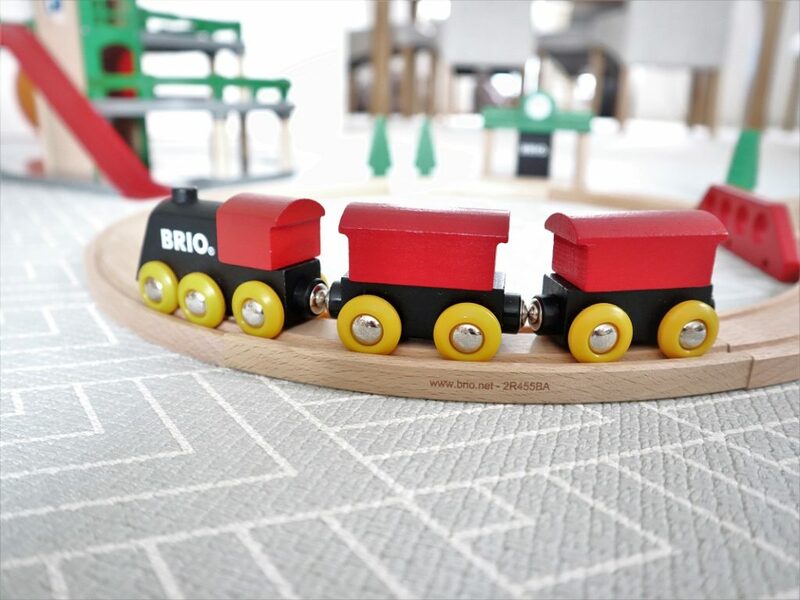 Brio always make excellent and durable toys and this train set is no exception. I will have to get one for Arlo’s birthday next month. This is something that Ava can build and play with her little brother Jaxson. I like the simplicity of it. Being made of wood they are more sturdy and likely to withstand a lot of wear and tear. 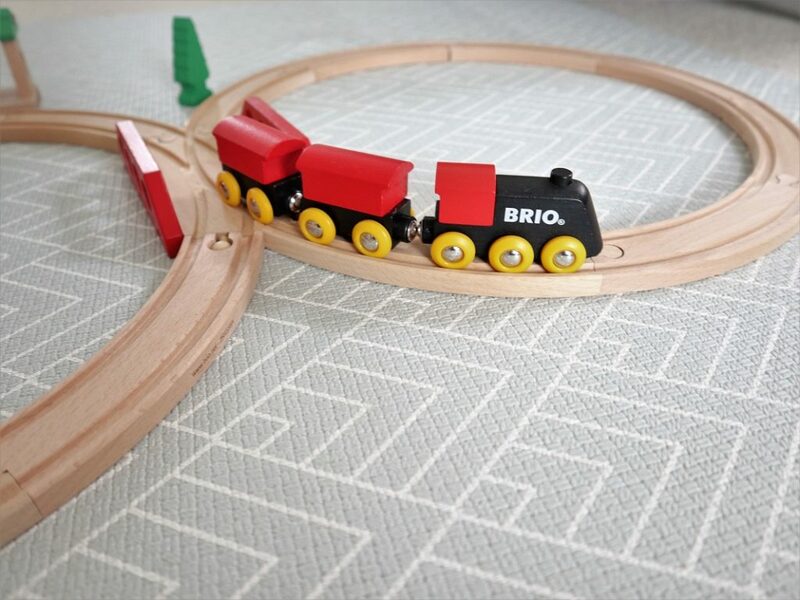 Brio are such a great brand, really sturdy and durable. A great classic. I bought my son one of these 38 years. Always know Brio is safe.